This is the Golden Rule in tea storage. Teas are cultivated with very specific oxidation levels, and to keep your loose leaf the way it was intended, you want to make sure it’s as sheltered from the elements as possible. In the production process, green and white teas are the least oxidized varieties, so you’ll want to make absolutely certain these teas are exposed to as little oxygen as possible. 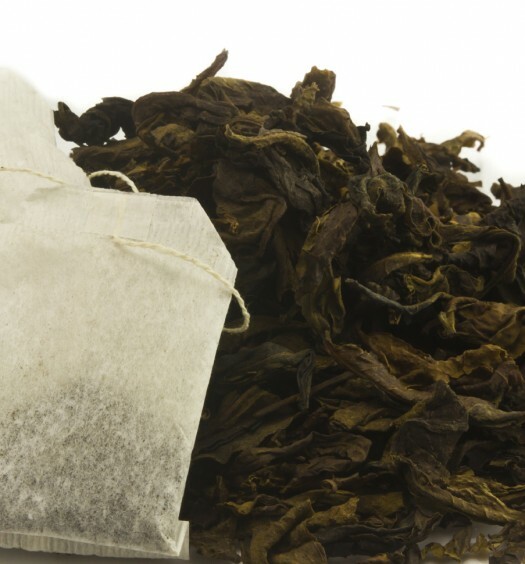 Dark black and oolong teas are exposed to more oxygen in the production process, so oxygen exposure is less of a death sentence, but you’ll still want to keep these darker teas away from the elements so that they stay in pristine condition. Keep your loose leaf away from moisture of any kind. Humidity and dampness can cause tea leaves to release their flavors ahead of schedule. You want to save all the flavor for your cup, so keep tea indoors in a dry place. If you’re storing tea leaves in a cabinet, make sure that cabinet isn’t close to any pipes. Tea leaves can absorb the odors around them, so unless you want your tea to absorb the flavors in your coffee and spices, keep your tea stash far from competing characters. Also be sure that the container in which you’re storing your tea doesn’t have a strong odor itself. Teatulia recommends a container made of glass, tin, or aluminum. Light can cause tea to degrade, so make sure your container is not see-through! The more tea that’s packed into a small space, the less air there is between individual tea leaves. And since we’re trying to avoid oxidation, that’s good news. This container has a plunger that removes all the air from the container, so it’s perfect for storing loose leaf tea. It retails at Bed, Bath & Beyond for just $9.99. 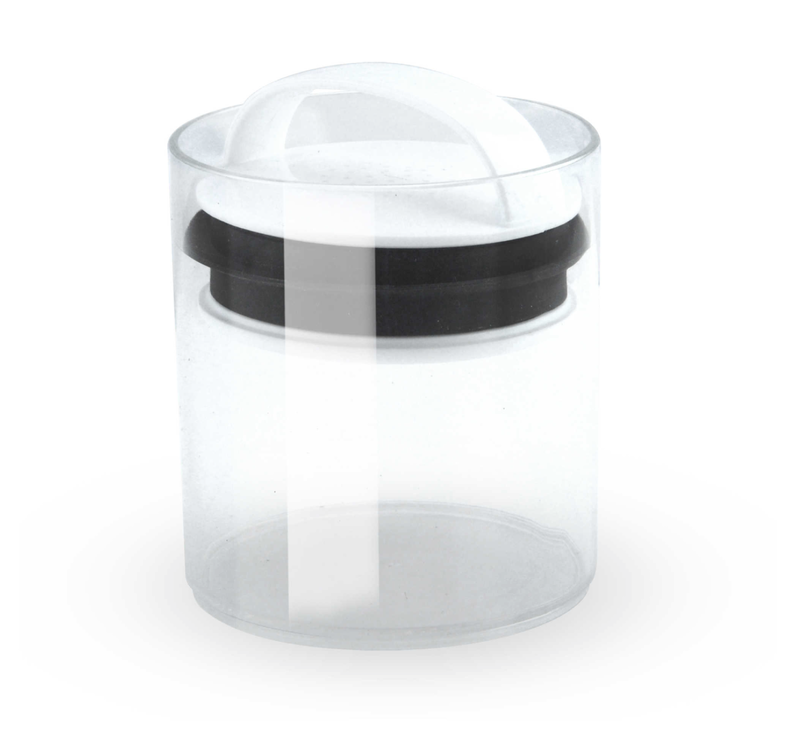 This container provides vacuum seal pressure without any pesky cords or electricity needed. It’s advanced, but at $64.99, it’s on the expensive side. 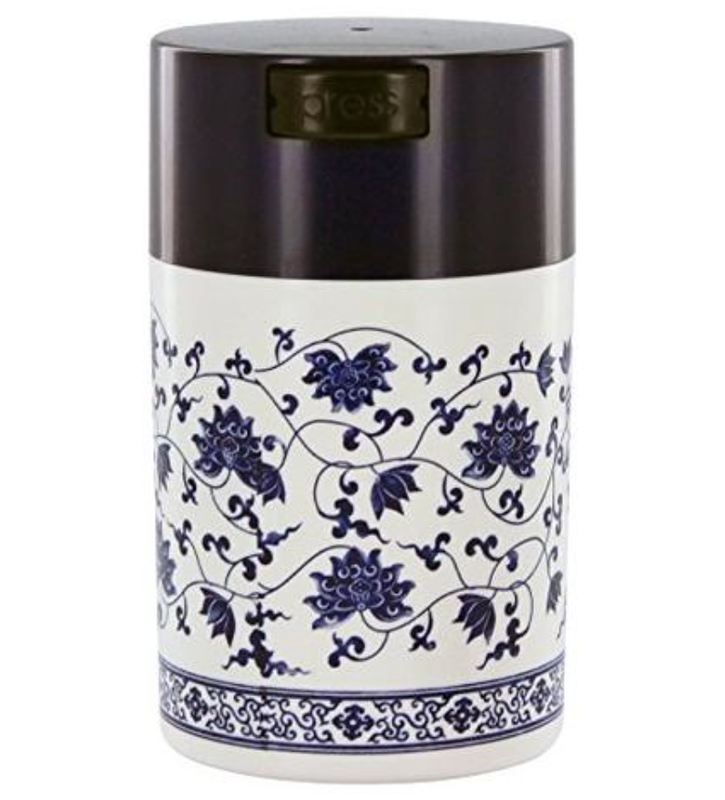 This container is double lidded, holds 150 grams of tea, and retails for $17. This container from Stash Tea holds 150 grams of loose leaf tea and vacuum seals itself everytime you close it. It’s yours for $11.50. 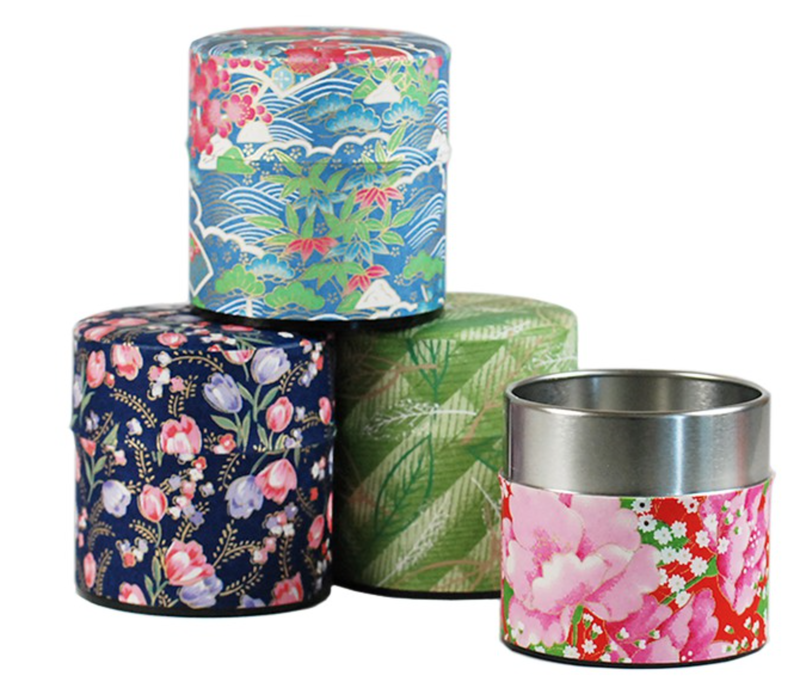 These beautiful tins are covered in washi, traditional Japanese paper. They come from Japan and can be in your kitchen for just $8.